Here I am, travelling once more and taking in the atmosphere with eyes and brain wide, ready to learn new things. This is my second trip to the United States, my first to Los Angeles, and as always I’m finding a place to be both exactly like and nothing like I expected it to be. The inherent contradiction in that sentence comes of course from the fact that no matter where you go in the world, the things you’ve seen (in films and television) and read (books, comics, articles) form a kind of proto-location before you see the place in real and actual life. As a result, I always have impressions of a place before the First Impressions kick in. Kind of Impression Zero, as it were. So. Impression Zero of Los Angeles: sunny; flashy; fast-paced; a bit superficial; all Hollywood; not much of a sense of history; everyone you see who is not in the film business is working out how to get into the film business; a veneer of cheerful over a bedrock of desperation; cars cars cars. Since arriving in LA on 13 July (a few hours before I left Melbourne on the same date: gotta love the international date line and pseudo time travel!) 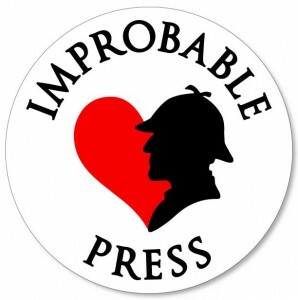 Impression Zero has proven to be occasionally accurate but also – and naturally – a very shallow impression that’s as often completely wrong as right. It’s certainly sunny here, though most mornings have so far started a bit hazy. The July sun burns that fog away within a few hours, though, and hot days with blue skies follow. Everyone I’ve met so far is very friendly, and I’ve had random conversations not only with service staff and Uber drivers but with people at museums. Today, for instance, I fell into conversation with an older couple at the Petersen Automotive Museum when they asked my opinion on the colour of a car on display (we finally agreed that it was probably mint green). Is everyone in the service industry secretly trying to make it big in Hollywood? Maybe. An Uber driver today turned out to primarily be a music director of K-pop, who has organised Korean pop music gigs all over the world, including Australia. Next week he’s off to Japan for a big gig in Osaka. But in most other ways, Impression Zero wasn’t much good. I’m sure the shallow, flashy, all-glitz LA is out there, but I haven’t seen it yet. What I have noticed is that there’s a lot more Spanish spoken around the place than I had gathered from the films and TV I’ve watched. Combined with a lot of Spanish-style architecture there’s a weirdly more European feeling to the city than I expected. Additionally, Downtown LA is scattered through with grand old buildings that were once part of the financial district, but that relocated and these magnificent and imposing blocky buildings radiate a faded grandeur. An example of Patrick Haemmerlein’s art at The Hive gallery. These areas seem to be thriving locations for arts and culture, though. The monthly Downtown Artwalk opens up to all kinds of galleries that open late, along with little stalls lining the streets selling art and jewellery, and car parks filled with food trucks and DJs. Altogether, I keep getting flashbacks of places I’ve visited in the Middle East and parts of Europe, where lively locals gather in suburbs past their prime to reclaim spaces, occupy the streets with handcrafts and generally inhabit their environment with a lot of energy and enterprise. Not that it’s all slick and shiny; there are plenty of signs of poverty around too. This is a real place, not a film set. Los Angeles is a relatively young city, too. It was founded in 1781 by 44 Spanish-speaking people in what’s now known as El Pueblo. The area contains the oldest house in Los Angeles, the Avila Adobe. However, the town stayed small for decades and most of the city was in fact built in the 20th century. Throughout Los Angeles, but particuarly here in El Pueblo, you get the strong resonance of Los Angeles’ Spanish history. Some of it is a bit ‘disneyfied’ but you also have the 1932 mural American Tropical, which far from being a happy little tropical image of Spanish peons in early America, is a strong political statement against oppression. I thought Dire Wolf was a name made up for fantasy novels. But no. They were a real (but now extinct) thing. Much older local history is at the La Brea tar pits, with their wealth of prehistoric fossils (including 404 Dire Wolf skulls) and their ongoing archeological digs; then there’s the automotive history at the aforementioned Petersen Automotive Museum (complete with Hollywood vehicle displays) and next week we’re off to the California Science Center to see the Endeavour space shuttle. And yes, it’s a very car-oriented city, but I’ve found the buses and subway, both relatively new and shiny, to be excellent for getting around. This is no doubt a twisted impression of the city too. I’ve only been here three days, after all, and like all large cities, there are several versions of it around, depending on the neighbourhood you’re in and what you’re looking to experience. But so far? First impressions are positive and I’m looking forward to discovering more of the many versions of Los Angeles that exist. You can find out more about LA at Discover Los Angeles, who are providing assistance to my travel-writing husband Tim Richards as we travel around.